Trend setting Harare based traditional healer Sekuru Banda real name Sekuru Kamwelo Banda has been selected as the African representative to attend a line-up of conferences on herbal therapy on the continents of Europe, Asia and South America. The conferences will focus on Chinese, African, European and American medicine with particular interest in herbal therapy. 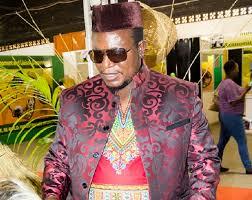 Sekuru Banda, whose healing portfolio includes recovering stolen property, prescribing concoctions on cheating partners, returning evil spirits to witches and wizards as well as healing different ailments is Zimbabwe’s richest traditional healer, who is also into philanthropic work. This popularity gained him the first spot as the most influential healer in Zimbabwe. From his powers Sekuru Banda attracts to his shrine people from all walks of life and various backgrounds. People visit from countries like United States of America, Europe, Asia and the rest of Africa. These people bring various gifts in appreciation of his quality services. Because of that, Sekuru Banda is arguably the richest traditional healer in the whole world. He is expected to come back with a wealth of experience in the use of herbal therapy to treat various ailments and share knowledge with other traditional healers locally and abroad.